Healthcare marketing has traditionally been about brand awareness: billboard and banner ads promoting a healthcare organization’s facilities, expertise and convenience. But in today’s consumer-driven market, it may be even more important to keep patients (aka customers) by finding ways to increase patient satisfaction. 88% of patients who need assistance managing chronic conditions say continued engagement would make a difference in their overall health. 35% would like to have a better understanding of how to change unhealthy behaviors. 31% want tips and tools to better manage their condition. 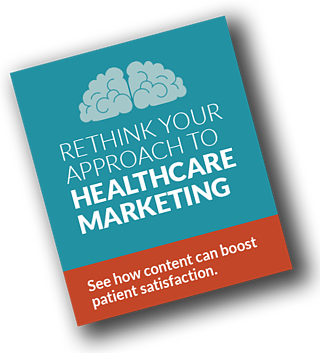 Download our thought-provoking checklist for a look at how you can use marketing content to meet those needs, while also driving revenue and reducing hospital readmissions. Marketing for healthcare organizations for healthier patients and a healthier bottom line.